Every summer, cownose rays stream into Chesapeake Bay to mate and give birth to their pups. When autumn comes, they disappear—presumably to migrate south, but no one knew for certain where they spent the winter. Now, after a three-year tagging study published Aug. 23 and led by the Smithsonian Environmental Research Center (SERC), scientists have solved the mystery. Cownose rays all along the Atlantic winter near Cape Canaveral, Florida, and it is likely they return to the same spots each summer. 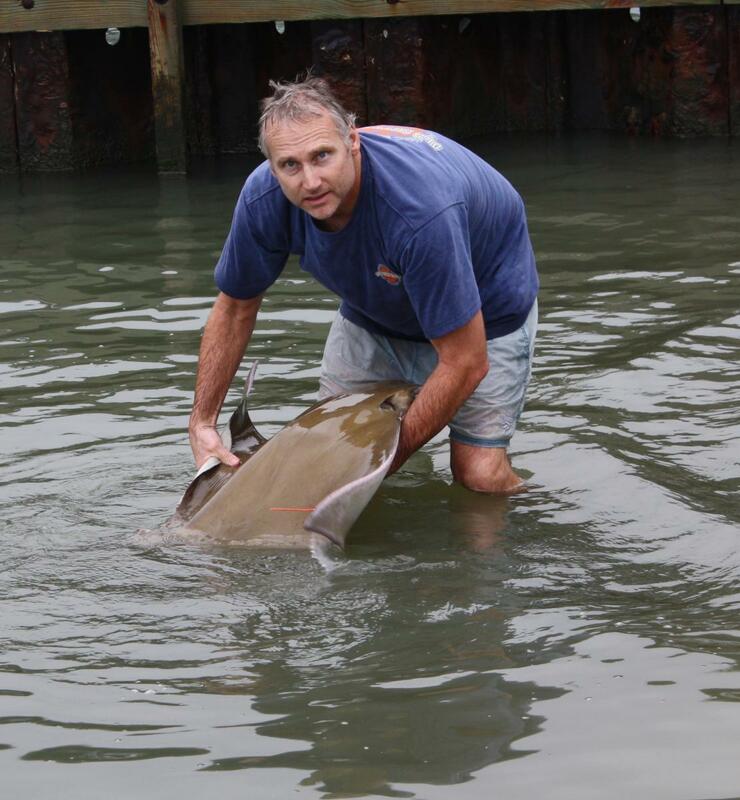 The new study, published in Marine Ecology Progress Series, marks the first time scientists have tracked cownose ray migrations along the Atlantic coast for a full year or more. Knowing where they go every year will help fill in some longstanding knowledge gaps about the rays, as Maryland officials decide how to manage them. It is part of the Smithsonian’s new Movement of Life Initiative. Scientists from the Virginia Institute of Marine Science (VIMS) and Savannah State University also joined the effort. To tag the rays, scientists spent three summer and fall field seasons teaming up with commercial fishers. These fishers were not trying to catch cownose rays, but the animals often appear as accidental bycatch in their pound nets or haul seines. Many of the fishers had worked with the scientists before, partnering with VIMS co-author Bob Fisher or on SERC’s crab-tagging studies. 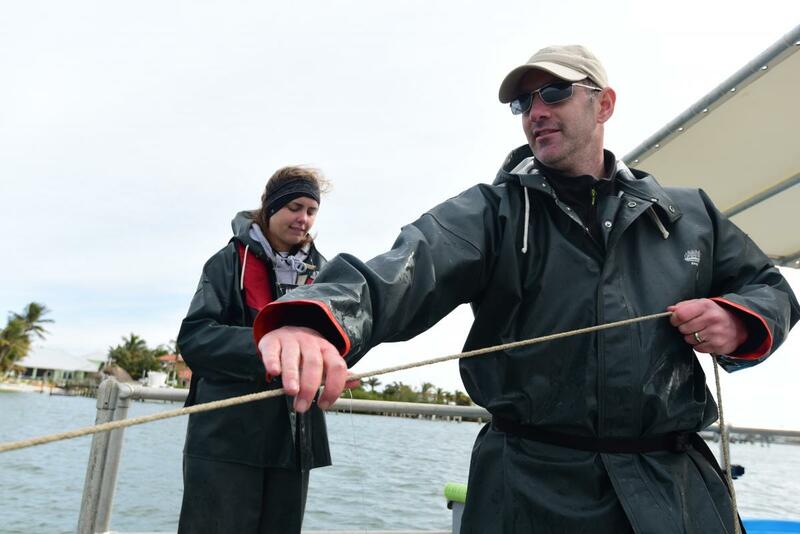 “Collaborative efforts with commercial fishers are built on trust, straight talk and inclusion to investigate common problems and opportunities,” said Fisher, who has studied cownose rays for nearly three decades. After transferring the rays to a holding tank, the researchers gave them general and local anesthesia and inserted a small acoustic tag inside them. Once the rays had recovered from surgery, the scientists released them back into the water. As the rays continued their journeys, the tags emitted a series of “pings” unique to each ray. An array of hundreds of receivers lines the Chesapeake and the Atlantic coast, waiting to pick up their signal. These receivers were placed by dozens of scientists from institutions along the East Coast, all sharing data on different species. If a ray passed within half a kilometer of a receiver, the receiver would record data about the ray’s location. Then the data were shared through the Atlantic Cooperative Telemetry Network and Florida Atlantic Coast Telemetry Network. Regardless of where scientists tagged the rays, every ray they detected in winter went to the same spot: a region just off the coast of Cape Canaveral. The greater challenge was figuring out if cownose rays go back to the same places each summer. While most rays returned to the same regions where scientists tagged them the previous year—some even to the same rivers—many rays were tagged in the fall, when they might have already left their summer homes. Only five rays sent out location signals for both summer 2015 and summer 2016. Four of those rays (three from Virginia and one from Georgia) returned to their original regions. The fifth spent both summers in the Chesapeake, but the first summer in Virginia and the second in Maryland. This pattern could make conservation even more critical. If cownose rays are returning to the same places each summer, that means the Chesapeake likely has its own distinct population. 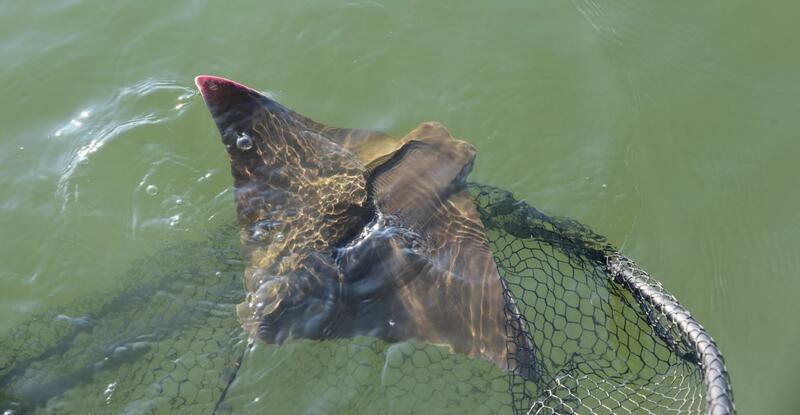 Intense fishing of rays in the Chesapeake, especially during summer, could wipe out a large slice of the species’ genetic diversity. “If they’re really tied to one specific place, then you’ll be removing a whole piece, a whole unique segment, from the population,” Ogburn said. The full study is titled "Migratory connectivity and philopatry of cownose rays Rhinoptera bonasus along the Atlantic coast, USA." It was published in the journal Marine Ecology Progress Series, vol. 602. The abstract is available at https://www.int-res.com/abstracts/meps/v602/p197-211/. For a copy of the paper, images or to speak with one of the authors, contact Kristen Minogue at minoguek@si.edu or (443) 482-2325.